People with bad credit or no credit face different challenges than those with high credit scores when it comes to financing their next vehicle. Here are some steps you can take to ensure that your credit is the best that it possibly can be before you apply for credit with Hubler Automotive Group. These are just a few of the options available to you if you have less than perfect credit. Contact the finance experts at Hubler Automotive Group today to get the answers to all of your auto financing questions. We’re excited to work with you! The best thing you can do before apply for a car loan is to check your credit report. Know what your credit score is and make sure there are no errors on your report that need to be corrected. You don’t want to end up with less than optimal financing because of inaccurate information on your report. Knowing where you stand in terms of credit can help you come into one of our dealerships with an idea of how much you can afford. Of course, this is far from feasible for everyone, but if financing leaves you in a less than optimal situation, paying cash for your next vehicle might be right up your alley. 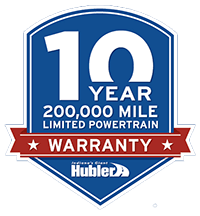 Hubler Automotive Group offers many affordable vehicles that you’ll be proud to drive. We’re happy to discuss the option of paying cash for any of our vehicles with you when you visit one of our dealerships. A cosigner may help your loan rate considerably. If you have someone you trust who is willing to cosign on your vehicle, you may be in a much better situation than if you applied for an auto loan on your own. We’ll talk to you about cosigners when you apply for credit and encourage you to not rule out this option. If your rate is causing your monthly payments to be higher than you can afford, consider stretching the life of the loan over time. This will get your monthly payments to a more affordable rate. Once you have payments you can afford, your credit will begin improving as you make each month’s payment on time!